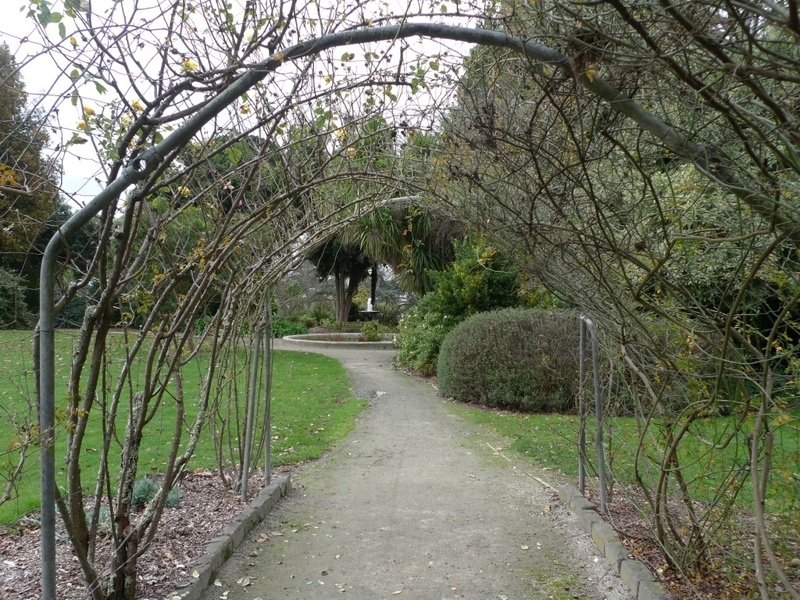 The Colac Botanic Gardens occupy an elevated site of approximately 16 hectares north-east of the town centre bounded by the southern shores of Lake Colac, Gellibrand Street, Fyans Street and Barongarook Creek. The main entrance to the Colac Botanic Garden is through the south-west entrance Bilson gates (1962) on the corner of Fyans Street and Gellibrand Street where a carriage drive, lined with predominantly Quercus robur (English Oak) and few Quercus cerris (Turkey Oak), forms a row around the perimeter of the Gardens and is open to vehicle access. The area enclosed by the drive has a network of winding paths and is mainly open lawn with specimen trees, shrubberies, some bedding plants together with a palm bed, rose garden, rose arbour, pond and fountain, and cannon (acquired 1904) near the south eastern gate. 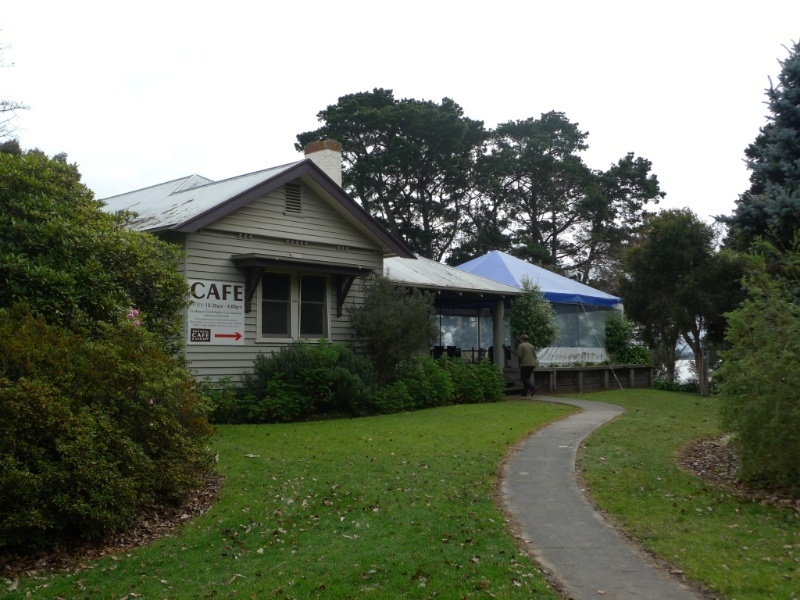 The curator's cottage (c.1924, now a cafe) is located at the western end of the gardens with playground equipment, picnic facilities and car parking at the eastern end. A caravan park occupies the north-east corner along Barongarook Creek adjacent to the lake shore. A steep escarpment planted with Pinus radiata (Monterey Pines) and specimen trees runs between the botanic gardens and the flat area around the shore of Lake Colac which contains remnant terracing, an old brick toilet block with castellated roof (c1930s), a walking track, a fire brigade asphalt training track and shed, rotunda (1999), car parks, a rowing club, angling club, public toilets, boat ramp (1968) and jetty (1971). The escarpment provides separation between the two areas and provides extensive views from the Botanic Gardens over Lake Colac. The site was temporarily reserved in 1865 for botanical and recreational purposes after a request from local residents. Little progress was made until 1868 when Daniel Bunce, Director of the Geelong Botanic Gardens, was approached to lay out a plan for the garden. Implementation of the plan was slow with the construction of a carriageway and planting of trees the only known details. Between c1875 -80, curators Reeves and McDonald made changes to the carriageway and introduced garden beds, curved paths, lawns and shady arbours. In the 1890s structures added to the gardens included a pavilion overlooking the lake a conservatory in the south-eastern corner and a permanent rowing clubhouse on the edge of the lake joining the existing structures of piers, baths and a boat shed. Most of these structures have been removed. In 1910 William Guilfoyle, Director of the Melbourne Botanic Gardens, prepared a plan and a 'Report on the remodelling and development of the Colac Botanic Gardens', which are extant, suggesting some improvements and remodelling to take advantage of the slope and vistas across over the lake which he considered had been ignored. This included simplifying the existing path system within the circular drive, and removal of borders and crowded areas in favour of larger trees and clumps of shrubs and a palm and cordyline bed all of which were implemented. Curators Archibald Campbell (1911-40) and Dugald Leitch (1940-55) were responsible for implementation of part of the Guilfoyle plan and maintaining the maturing Gardens but, with Guilfoyle's death in 1912, any further influence ended. The last resident curator Donald Greenwood (1955-65) was responsible for the addition of many native plants and in more recent times the gardens have more simplified planting and a park-like character. 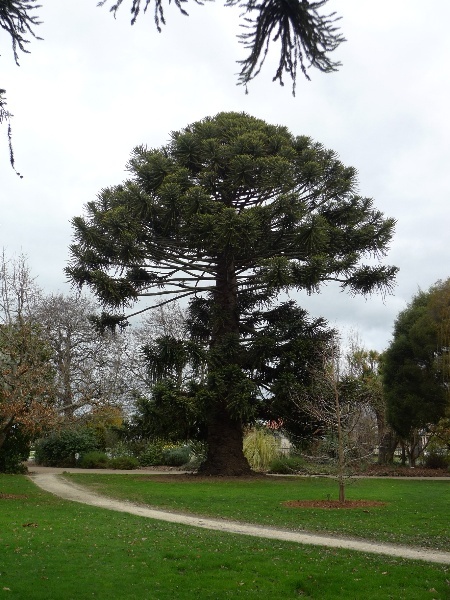 The Colac Botanic Gardens contains many rare plant species only found in historic gardens and several significant and uncommon trees including four Cupressus forbesii (Tecate Cypress), a very large Sophora japonica (Pagoda Tree), a Pittosporum tenuifolium 'Eila Keightley' (Kohuhu), a large Araucaria bidwillii (Bunya Bunya Pine) and an outstanding Ulmus x hollandica 'Vegeta' (Huntington Elm). In March 1996, James Guilfoyle, grandson of William Guilfoyle, planted an Arbutus caneriensis (Canary Island Strawberry Tree). 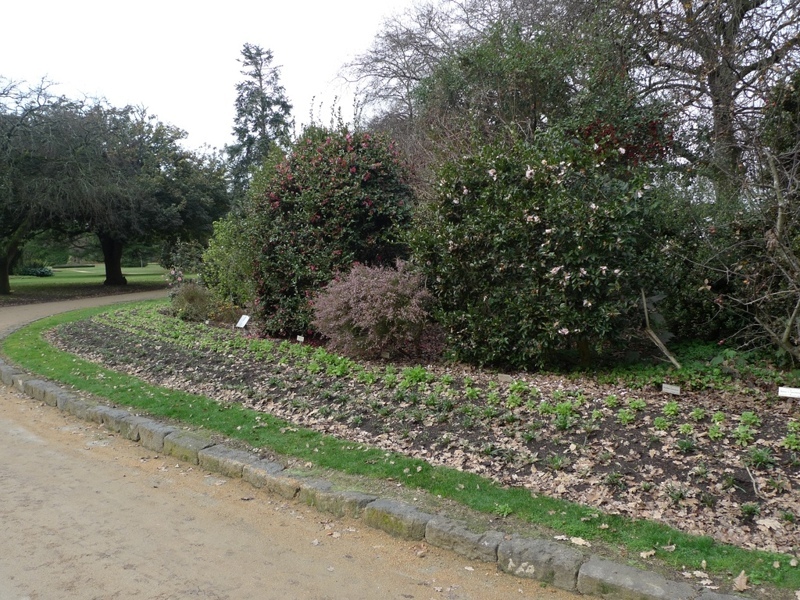 In 2004 the Australian Plant Society planted an Otway Flora Bed on the eastern side of the Gardens. This site is on the land of the traditional owners. Colac Botanic Gardens are of historical, aesthetic, and scientific (botanical) significance to the State of Victoria. Colac Botanic Gardens are of historical significance as an important example of a regional botanical garden, established in the nineteenth century in response to the increased wealth of Victoria with the discovery of gold and the desire to provide a place for recreation and education in keeping with European trends. The Colac Botanic Gardens are of scientific (botanical) significance for a number of rare plants and trees including four Cupressus forbesii (Tecate Cypress), the only known examples in Victoria, a large Sophora japonica (Pagoda Tree), Pittosporum tenuifolium 'Eila Keightley' (Kohuhu), and large Araucaria bidwillii (Bunya Bunya Pine) and an outstanding Ulmus x hollandica 'Vegeta' (Huntington Elm). .
1. All the buildings marked as follows on Diagram 2259 held by the Executive Director. 2. All the features marked as follows on Diagram 2259 held by the Executive Director. 3. The circular driveway and paths marked P1 on Diagram 2259 held by the Executive Director. 4. 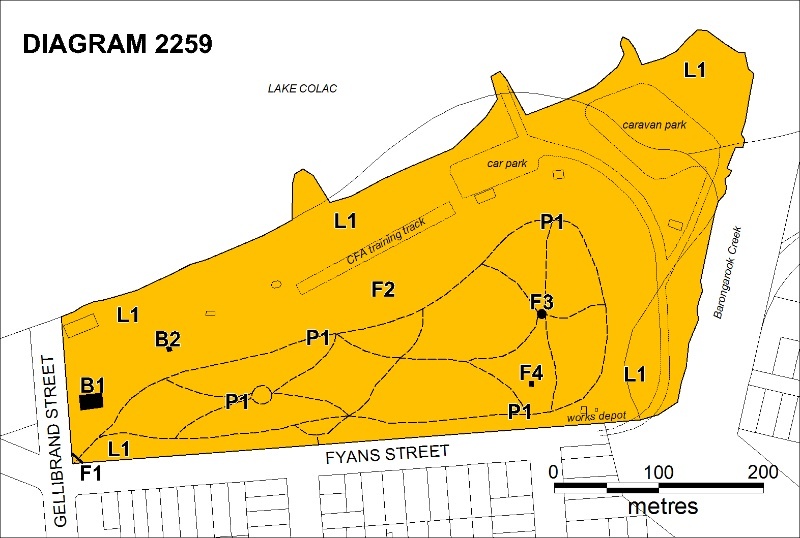 All of the land marked L1 on Diagram 2259 held by the Executive Director being parts of Crown Allotment 25B and 25C, Township of Colac, and part of Crown Allotment 62A, Parish of Colac. The Oxford Companion to Australian Gardens, Richard Aitken and Michael Looker, Australian Garden History Society Oxford University Press : Australian Garden History Society, South Melbourne, Vic., 2002. This history is an extract from the DSE Heritage Place Report 'Colac Botanic Gardens' on Hermes 81314. "An area of about 38 acres was reserved temporarily on 23 May 1865 for Botanical and Recreational purposes after a request from local residents at Colac. This area was bounded to the north by Lake Colac and to the east by the Barongarook Creek. Five trustees were appointed to manage the gardens, gazetted on 19 December 1865. Early enthusiasm for the gardens apparently waned after reservation as little work was carried out. Perhaps to stimulate interest and action, the curator of Geelong Botanic Gardens, Daniel Bunce, was approached for a plan for the gardens. The gardens were to be planned in a 'proper and scientific manner'. Bunce visited Colac in 1868 and supplied some trees. No details are known of Bunce's plan except that it incorporated a carriageway within the reserve. A picket fence to keep out stock was subsequently established. Progress on implementing the plan was slow. A curator was appointed in 1870 but laboured under inconsistent direction and lack of finances. In 1874 a local committee was established to assist the trustees. The Committee set about raising funds for the gardens but this was a slow process. Meanwhile the debts accumulated. A new curator, Charles Reeves, was appointed in 1874. He soon proposed a modification of the design incorporating a serpentine carriageway through the gardens and establishment of various features in the garden. His departure from Bunce's plan generated some opposition probably due to the cost of implementing the design. Reeves was given one year to carry out his plan. It is not clear whether the present oval carriageway is part of Bunce's original layout that was retained. In January 1877, the trustees resigned in favour of the Shire of Colac. A new curator was appointed. John McDonald from Daylesford, amply qualified was appointed in June 1877. It would appear that the circular drive dates from this period as modifications to its layout are described as are the apparent transformation of wilderness to garden beds, sinuous paths, lawns and shady arbours. These improvements were funded by the Shire and good deal of money was spent at the direction of the Gardens Committee. In 1879, the Council requested the reservation of additional land along Barongarook Creek. Two portions of land making up approximately 8.5 ha were reserved permanently for public purposes in October 1881. A large number of trees and shrubs were planted after the area was fenced. J. Oliphant took over as curator in the 1890s. A number of new features were incorporated in the gardens after this time. A pavilion was built on the terraces overlooking the lake. This was a substantial building, partly enclosed to provide protection from the north winds and with an appended room providing simple cooking facilities. The pavilion was demolished in the 1950s. The conservatory formed a focus to the south-eastern corner of the gardens. This structure was built as an elongated octagon with clerestory windows. Ferns were apparently a major feature of the conservatory. The conservatory fell into disrepair and was rebuilt in the 1930s. This structure was demolished in the 1960s. 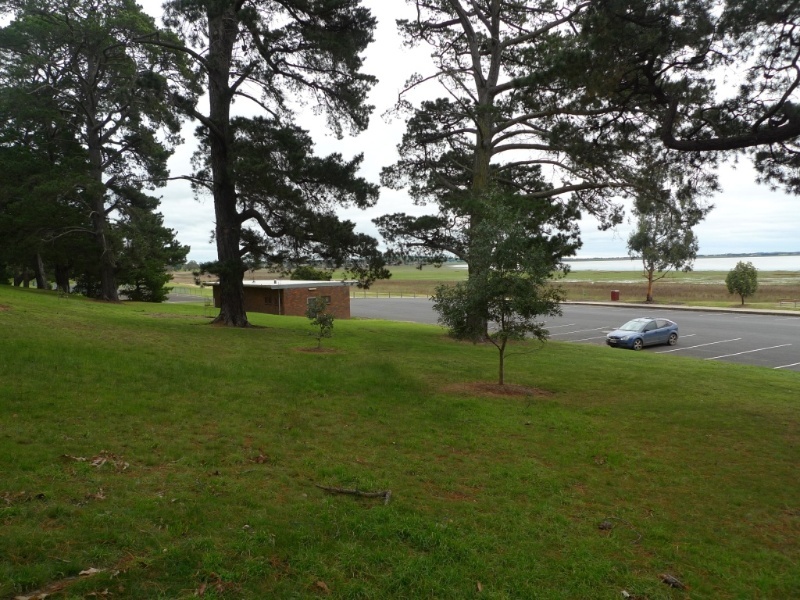 Lake Colac Rowing Club was able to lease an area at peppercorn rental for premises on the edge of the lake. Apparently piers, baths and a boat shed were already existed on the lake shores. The gardens were given a new stimulus in 1910 after William Guilfoyle visited and prepared a report recommending remodelling of the gardens. He recognised the natural advantages of the site and criticised the formal layout which ignored the slopes and views of the lake. He also considered that the space within the circular drive had become too fussy with paths and features. His solution was to delete some of the existing paths and supplement where necessary the existing system. He also recommended the elimination of the 'mean little borders running parallel to paths' and their replacement with clumps of shrubs, thereby saving on labour and opening up vistas. Larger trees were to be retained while some overcrowded areas were to be thinned. Three new features proposed by Guilfoyle were a 'tropical dell' along Barongarook Creek, a lily pond and landscaping of the slopes leading to Lake Colac. A lengthy list of plants, with an emphasis for coloured foliage, trees imparting a tropical effect. Acacias and Eucalypts were recommended to replace ageing pines. Guilfoyle was paid £50 for his report and design. It is not known to what extent Guilfoyle's plan was implemented. Guilfoyle died in 1912, depriving the project of his further involvement. Aitken suggests that little of Guilfoyle's plans were implemented. Although the design of the Colac Gardens is attributed to Guilfoyle, Aitken argues that the layout is based largely on the work done by curators Reeves and McDonald between 1875 and 1880. Guilfoyle's report suggests that much of the existing landscaping should be retained with only some remodelling. New features proposed by Guilfoyle appear not have been implemented. In 1984/85, a number of projects were undertaken as part of a program for the rejuvenation of Victoria's provincial botanic gardens. Tree identification, assessment of condition, tree surgery and labelling were carried out. Recently there have been moves to improve the lake shore area. The land has been cleared up and replanted. New paths have installed. There are plans to reinstate a pavilion on the terraces." Colac Botanic Gardens are an important example of a regional botanical garden, established in the nineteenth centuryin response to the increased wealth of Victoria with the discovery of gold and the desire to provide a place for recreation and education in keeping with European trends. 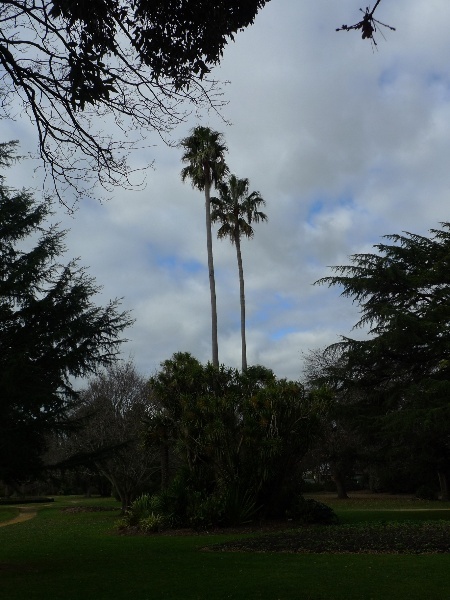 The Colac Botanic Gardens are of scientific (botanical) significancefor the rare collection of plants and trees characteristic of late nineteenth century gardens including several uncommon species only found in historic gardens. Colac Botanic Gardens display the typical characteristics of the regional botanic gardens with design elements such as serpentine paths meandering through gardens beds of flowers and shrubberies of various colours and textures set into lawn aagainst a backdrop of trees and built elements. 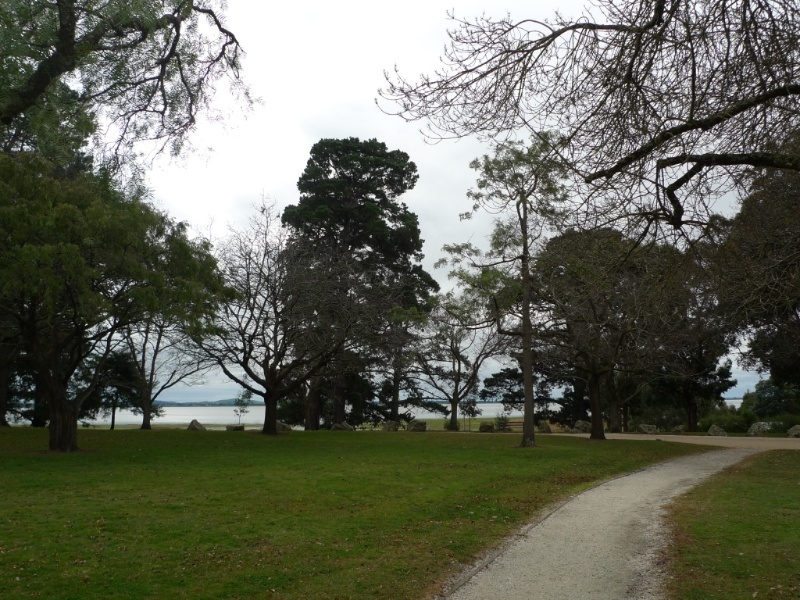 The Colac Botanic Gardens are of aesthetic significance due to their park - like character and elevated location immediately above the southern shore of Lake Colac, providing vistas across the lake. 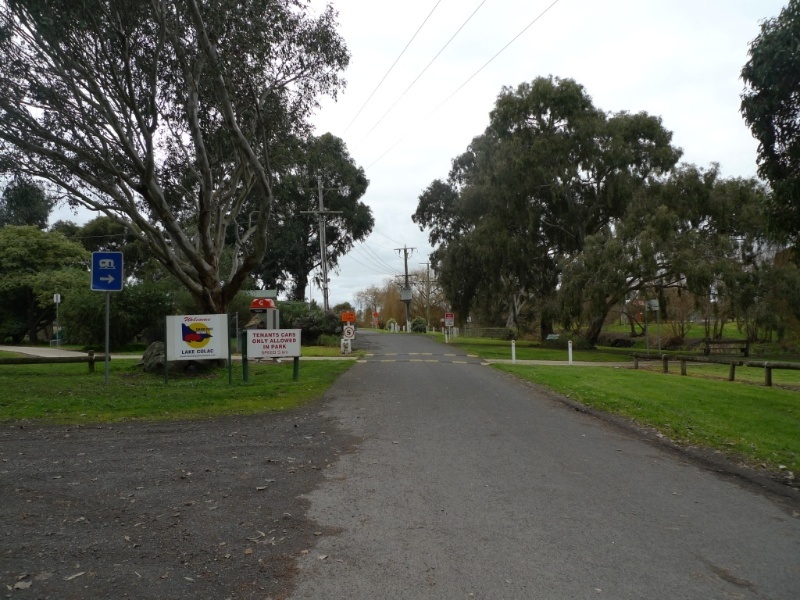 The Colac Botanic Gardens are of social significance to local residents and visitors due to the long and continuing association with lake - side recreational activities of the community demonstrated by the continuing presence of facilities such as the rowing club, the angling club, boat ramp and pier, playground and caravan park. The Gardens are also important for education, botany and plant cultivation providing a centre of horticultural excellence for the local and broader community and visitors. 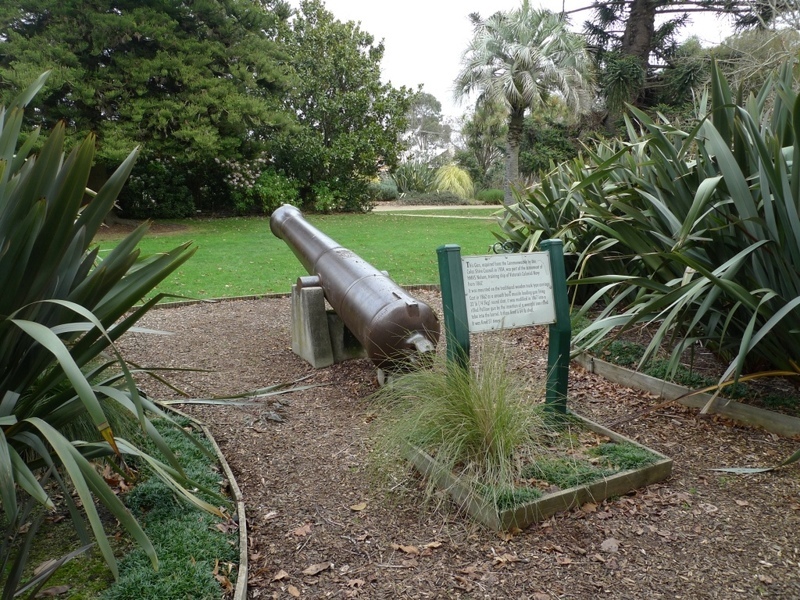 The gardens are also historically important for the association with two of Victoria's most prominent garden designers and botanic gardens curators/directors, Daniel Bunce of Geelong and William Guilfoyle of Melbourne. The design of the gardens evolved from the late 1870s, incorporating advice from William Guilfoyle in 1910. It retains a formal entry, carriage driveway, and an informal park layout with specimen trees in a picturesque setting. General Conditions: 2. Should it become apparent during further inspection or the carrying out of works that original or previously hidden or inaccessible details of the place or object are revealed which relate to the significance of the place or object, then the exemption covering such works shall cease and Heritage Victoria shall be notified as soon as possible. Note: All archaeological places have the potential to contain significant sub-surface artefacts and other remains. In most cases it will be necessary to obtain approval from the Executive Director, Heritage Victoria before the undertaking any works that have a significant sub-surface component. Conservation and management of the Colac Botanic Gardens should retain the existing layout, character and botanical plantings. The importance of the Botanic Gardens lies primarily in its layers of planting, features and buildings which combine to create a landscape and botanic gardens of significance. Removal or limiting of public vehicle access to the gravel circular drive around the gardens is strongly encouraged to protect the root zones of mature trees. Consideration should be given to relocation of the asphalt fire training track and associated CFA building from the foreshore to enable a more appropriate landscape treatment and relationship with the botanic gardens and rest of the foreshore area. 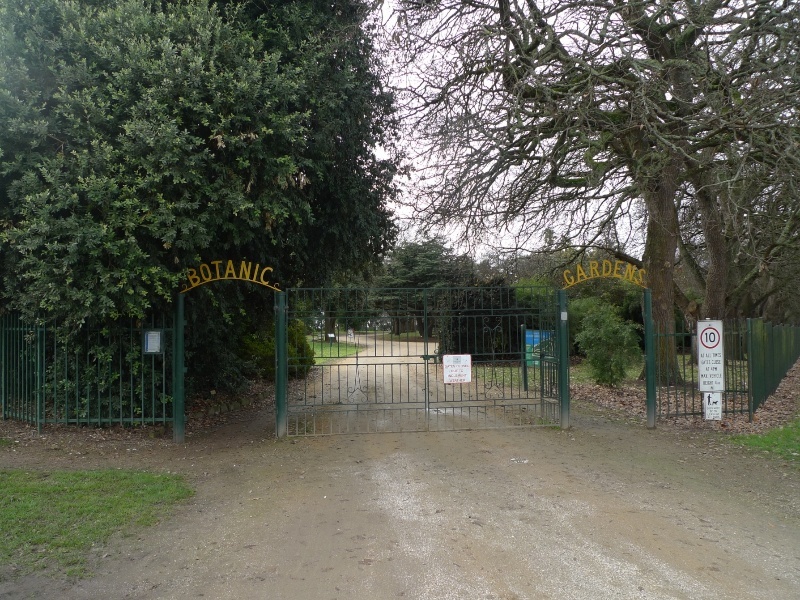 The Colac Botanic Gardens: A Conservation Study 1993 by Patrick and Wallace Pty Ltd should be consulted before any proposed works are undertaken. Consideration should also be given to updating this study to inform a new Management Plan for the future conservation and management of the gardens.